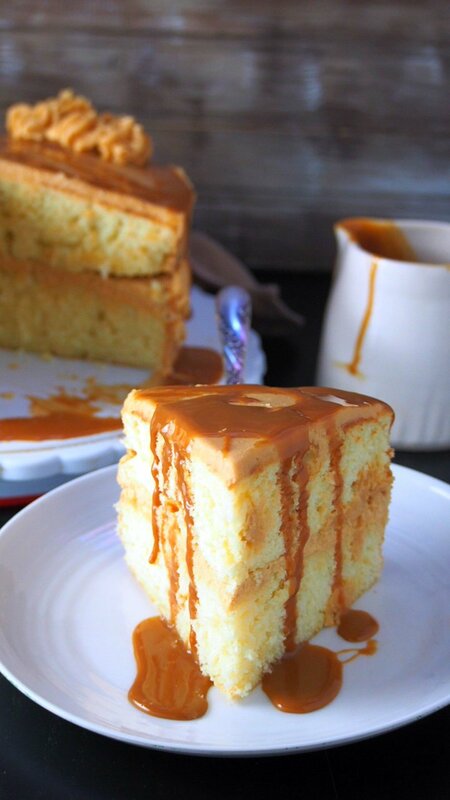 This delightful Dulce de Leche Cake features soft and moist butter cake layers filled and iced with heavenly sweet caramelized condensed milk frosting. 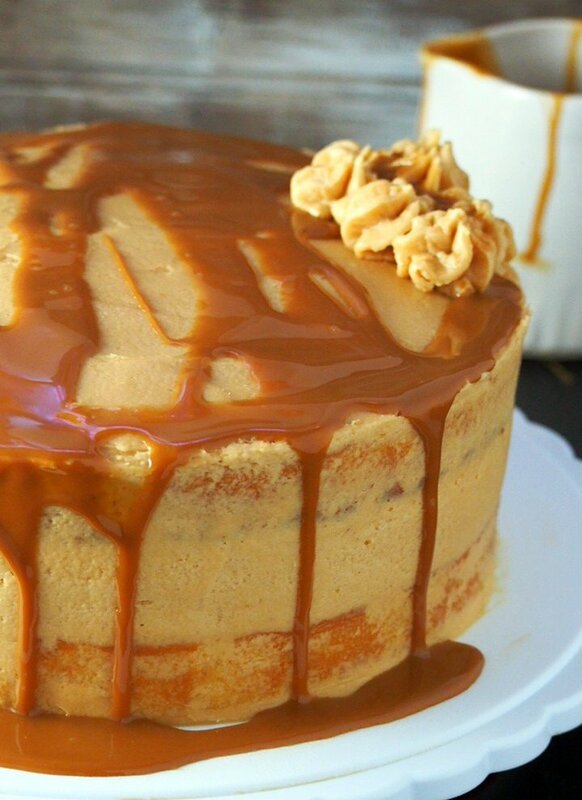 You cannot resist the deep flavor of the luscious caramel sauce that is dulce de leche. 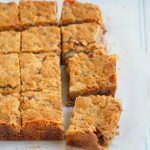 In the few years of writing and baking for the blog, I have grown to love it more and more. Looking back, what has drawn me to start a blog in 2012, was my love to write. To express myself through written words. I remember reading other people’s blog myself, immersing in somebody’s written thoughts for hours and finding comfort and connection, feeling that I somehow relate to another person without meeting them. As I was making this Dulce de leche cake, I get reminded how I grateful I am that blogging, food blogging has allowed me to tie in two things that I passionately love, to bake and write. To me, writing is as endearing as seeing the syrup dripping on the sides of a cake. Expression is as breathtaking as a finished piece of pastry, or a batch of freshly baked bread. If I should do one without the other, it will feel rather incomplete. Slicing a piece of this cake for myself last week, I thought how beautiful it is, that a true cake-lover, gets to eat a cake on a simple weekday without any occasion. 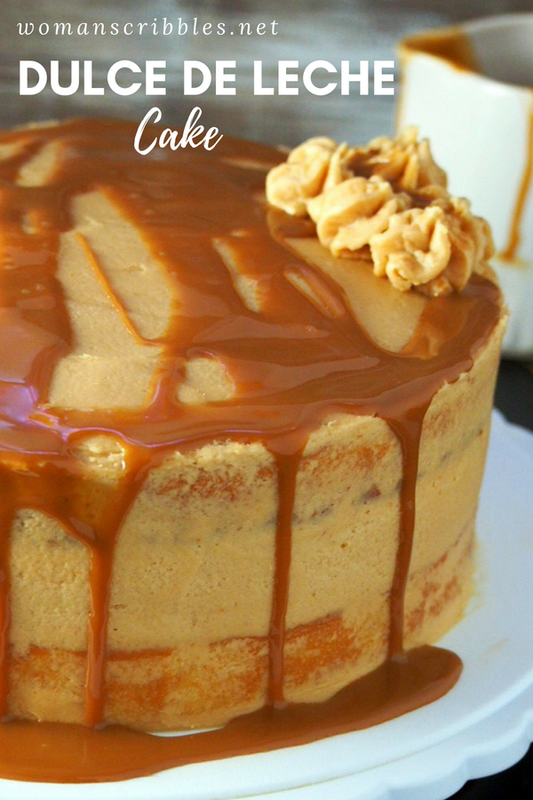 And it is Dulce de leche cake. 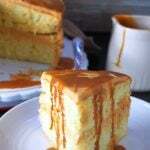 The deep sweetness of the caramel, the luscious liquid that is condensed milk. Everything is glorious about this cake. You don’t need to be celebrating something to make this too. All you need is a can of dulce de leche. And the fact that you want to celebrate the everyday. That is reason enough to make a cake. 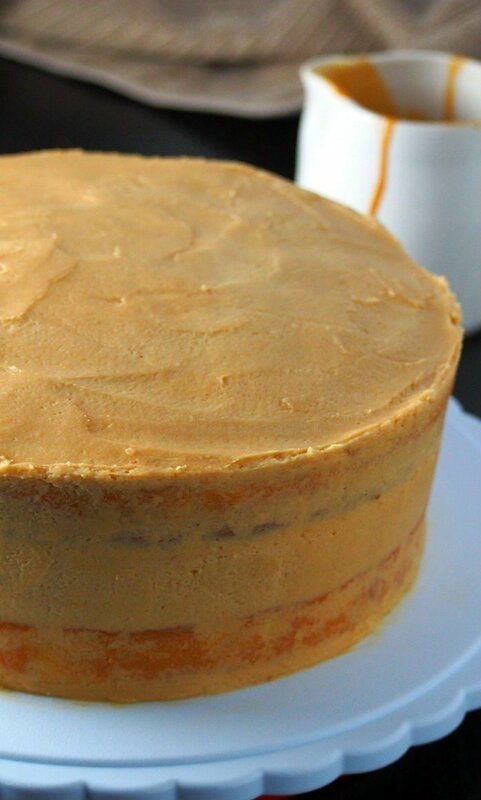 The cake is made of two moist butter cake layers. You are going to need two 9 inch round pans that are greased and lined with parchment paper. To make the dulce de leche buttercream, gradually pour dulce de leche into a creamed and fluffy butter that is beating on a mixer. 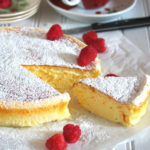 The mixture will be grainy at first but as you add the icing sugar, the buttercream will start to fluff up and smoothen. Add more powdered sugar as needed until the buttercream is fluffy and spreadable enough to frost your cake. 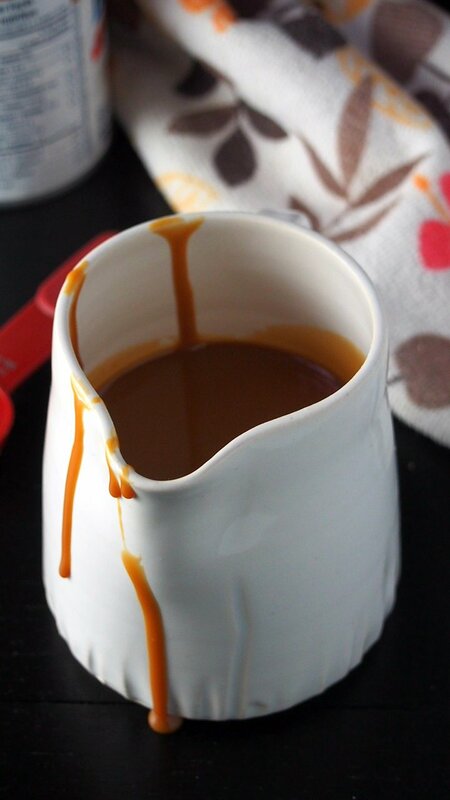 Use a rimmed cake plate to catch the caramel drippings. Enjoy your slice of heaven. I am here savoring mine with a lip-smacking caramel sauce all over it. Cheers to baking! Preheat oven to 350 F. Grease two 9-inch round pans and line the bottom with parchment papers. 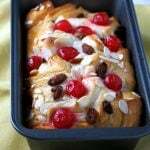 In a bowl, whisk together cake flour, salt and baking powder. In the bowl of a stand mixer, beat together butter and sugar until fluffy and creamy, about 5 minutes. Beat in the eggs one at a time, incorporating well after each addition. Scrape the sides of the bowl as needed. Beat in vanilla. Add the flour mixture and milk alternately, starting and ending with the flour mixture. 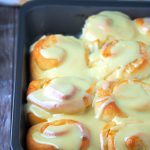 You should have added the flour 3 times, and the milk 2 times. Pour the batter evenly between the two prepared pans. Bake at 350 F for 30-35 minutes, or until a toothpick inserted at the center of the cakes come out clean. Remove from pans by turning it over on a wire rack. Peel off the parchment paper and let cool completely. Beat butter for 5 minutes until fluffy. 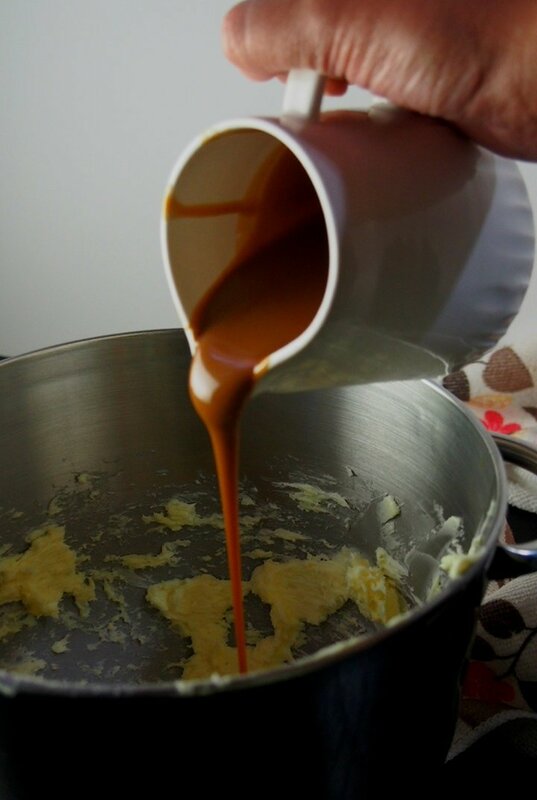 Gradually add the dulce de leche and then the vanilla while beating continuously. The buttercream will be grainy at first. Add the powdered sugar 1 cup at a time while beating the mixture until the buttercream turns from grainy to smooth and the consistency is spreadable. Lay the first layer of cake in a rimmed serving plate. Spread the buttercream on the surface and top it with the second layer of cake. Frost the top and sides of the cake. Use an angled spatula to smoothen the buttercream on the cake. Pipe some decorations on the cake using a star piping tip, if desired. Pour the reserved dulce de leche on top of the cake, letting some drip on the sides.